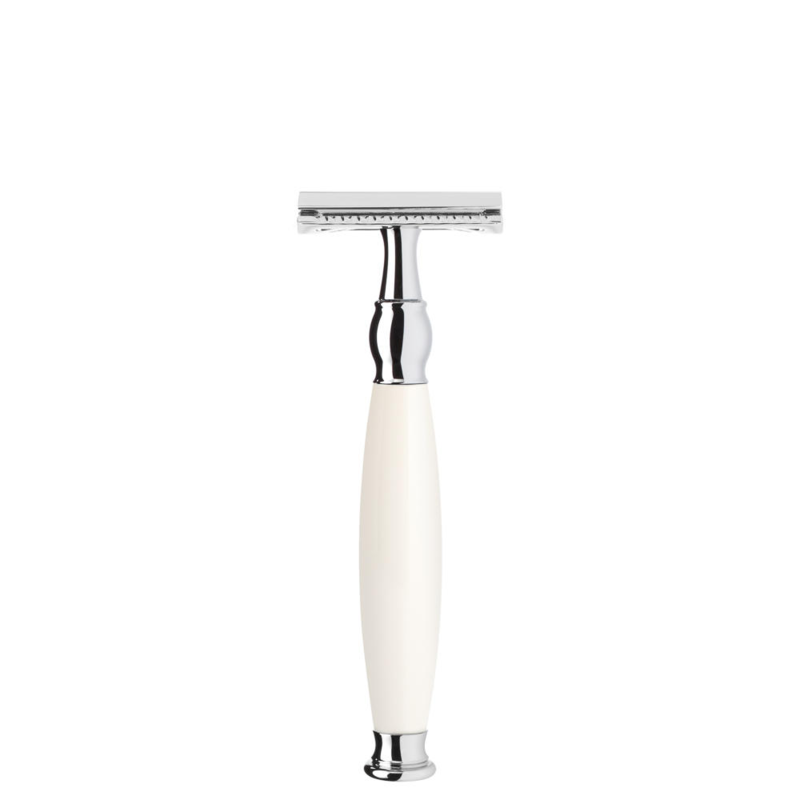 Safety razor Muhle Rymto Mint from Edward's, use us for shaving. Where can I buy a safety razor? 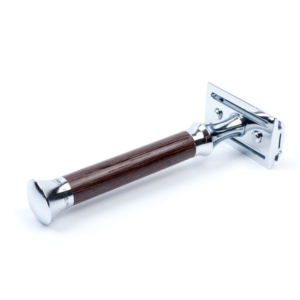 The Muhle Rymto Mint Safety razor, have a design and modern style we love. 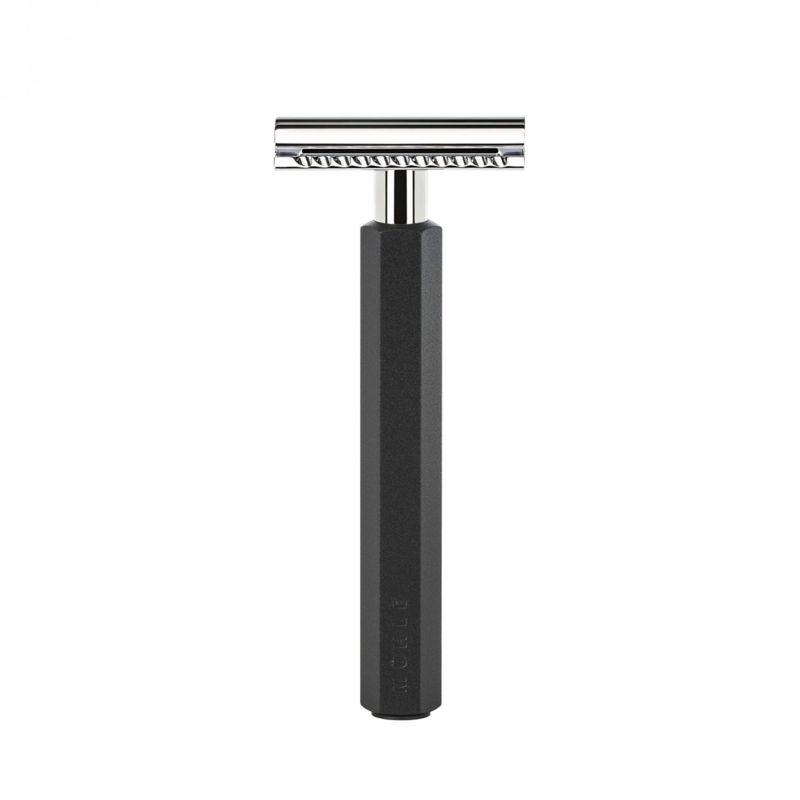 At 63 g and 110 mm this razor has a dynamic feel to the shave. We love It’s mint color It Is a very retro statement. Also we love It’s chrome pommel which really finishes of the shape. Also Interestingly Muhle are a 76 year old German company, which have always been subject to there nations flair for design. The materials of this razor are a high grade resin. Which wont erode and the metal Is a plated chrome. Also the head takes double edged blades and a standard size, which will fit all DE blades. We have eight varieties on the site, ranging in metal types and firmness and thickness. It’s all about finding the right brand for you. We can also sell you larger bulk packs. One free blade Included, follow link for more. This middle aggressive razor and will give you a close every day shave. It will also provide a good shave for someone who shaves less. There Is a good level of protection on the head, so this could be a good first time buyers razor. This is a great way to shave. It Is for It’s price Just great in terms of quality build. The high quality resin will not perish any time soon, and the plated chrome is also built to last. The engineering of a Muhle safety razor is tip top, you realise this when you dismantle this three piece razor. Simple razor maintenance is Just cleaning it taken apart and rinsing the head and body. In regards to method of use, we recommend small strokes and on loose skin. We have loads of useful information on our ever growing popular blog. A good amount of which Is about shaving technique. 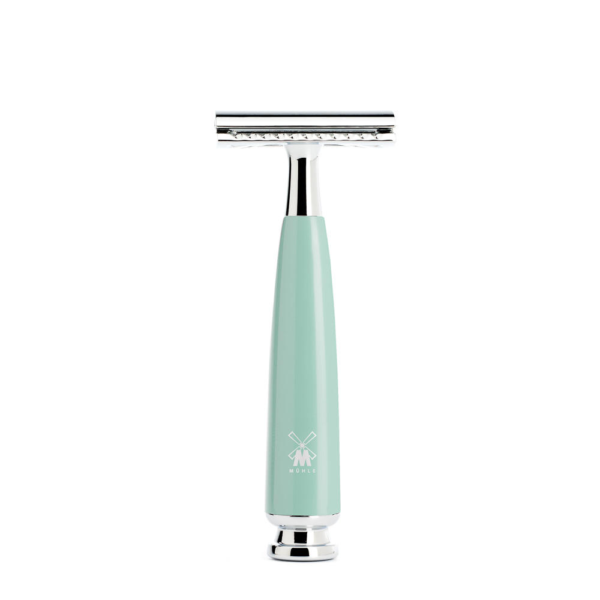 We have attached a link which we think will clear up any questions on shaving method. Free UK delivery on the Muhle Rymto Mint, 8.50 on International sales.